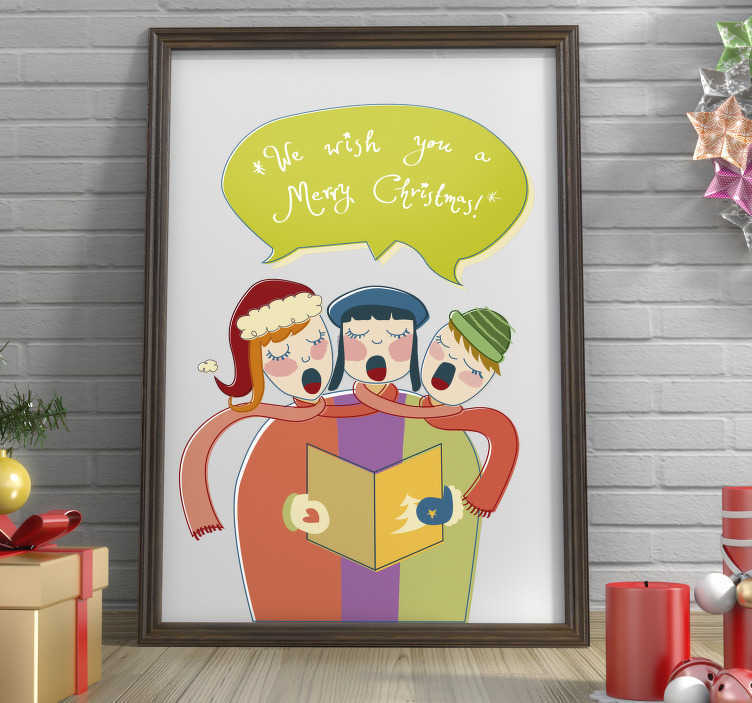 Decorate your home this Christmas with original decal of three people singing along to the famous Christmas carol "We Wish You a Merry Christmas". Due to its design, this wall sticker is also a suitable decoration for the nursery of your newborn. Place this vinyl decal in any room at home and create a Christmassy atmosphere.